This month, we had a special speaker, Lori Mason! 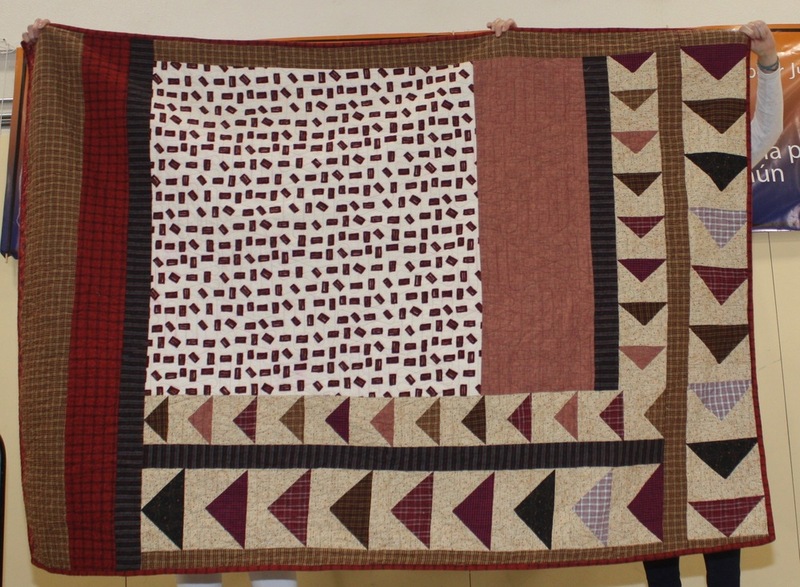 She shared with us her process of making memorial quilts. 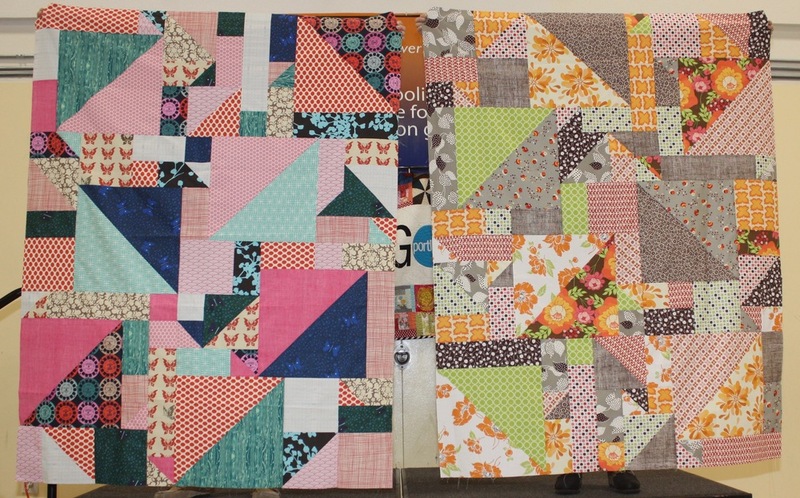 It was quite moving to hear stories of people who have passed and how the process of making quilts is such a blessing for herself and other grieving families. Show & Tell - Special thanks to Kim Lumapas for being our photographer this month! Richards Quilt, her 1st commissioned quilt!